A Paver patio can make your home look stylish and add charm to your yard. It can be made from stones, cement, or anything that’s durable and can stand the elements. Some people have made some from recycled materials such as bottles, tops, and cans. Whatever your style is, you can make your home a showplace with this one little décor addition. You can do it yourself or hire a professional, but either way, here are the basic steps on how to create a paver patio that will give your home a special look. Mark off the area that you want your patio to be with stakes and start to remove the sod and dirt with the shovel. Dig down to about 7 inches for your entire patio area to accommodate the layers of materials that you will be working with. Make sure that every line is straight and measured out well and leveled. You can lay 2 X4s along the edges to keep them straight. Plastic edging is also an option that can keep things from moving. Flatten the area as much as you can and add the layer of gravel. Spread the gravel well compact it down with the compactor, and add a layer of Quikeret Patio Paver Sand. This sand will be a bed that the stones or pavers will lay in. Spread the sand down well and level it off with a 2X4 or compactor. Make the sand as smooth as you can. 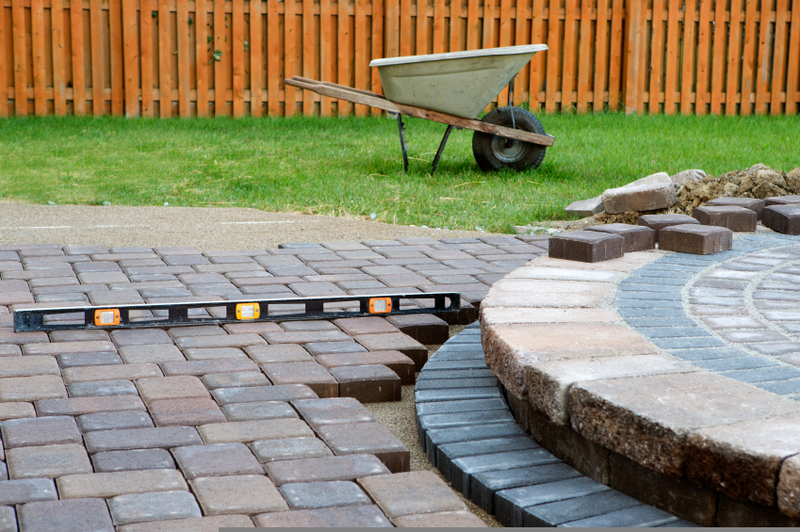 Now add your stones or pavers using a straight edge as a guide to keep each stone evenly apart. Tap each stone in place with a rubber mallet and use a level to keep everything level and flat. Then spread Quikeret Powerloc Jointing Sand all over the stones and into the joints and sweep the excess away. You can use any polymer based sand to get this done. This special formulated sand will hold your stones in and harden over time. Now spray your stones with water making sure that the cracks and joints are efficiently wet. Wet your pavers hourly for 3 hours after applying. Let this set for days before using. To get more details and see this work in action, go to https://www.youtube.com/watch?v=HhpjkIf2GXQ . You can even make a special handmade paver with your own designs and name for a special touch to your patio. Get the kids involved and create something that will become a great memory in their old age. For info on how to make one go to http://www.wikihow.com/Make-Pavers and use this as a summer project for you and the family.